V, StreetPilot, and all others that can accept up to 32 Volts on the power pin. 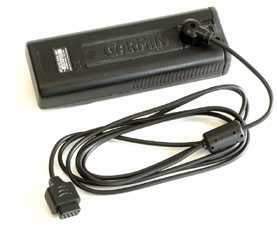 These models can accept up to 32Volts power input. Features ePlug , a custom 9-pin D connector, and very flexable cable. Molded on ferrite Core for EMI and RFI reduction. 4 conductor cable with all 4 wires connected (power on pin 9 - the red wire is power, black is ground).